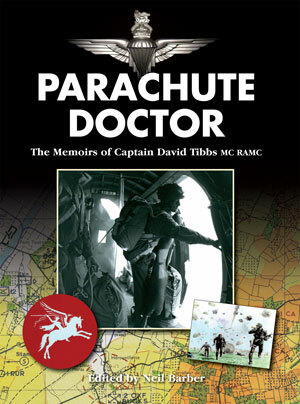 Parachute Doctor is the story of Captain David Tibbs RAMC MC who as a member of 225 (Parachute) Field Ambulance and the 13th Parachute Battalion served with the 5th Parachute Brigade of the famous 6th Airborne Division. His fascinating recollections feature jumping into Normandy on D-Day and the subsequent intense battle to defend the Airborne perimeter; assisting the Americans in repulsing the Ardennes offensive, the massive Airborne drop across the Rhine and the rapid advance to the Baltic to prevent the Russians moving into Denmark. Following the end of the European war, the Brigade was shipped to the Far East for a proposed invasion of Singapore. However, the Japanese surrendered beforehand, and the Paras ended up being involved in a little known episode, fighting alongside the Japanese in defence of Dutch civilians against violent rebels on the island of Java.